This unit was formed as a light dragoon regiment in 1759 in imitation of the European light cavalry regiments Britain had fought against, and alongside, in earlier wars. It was raised by Colonel John Burgoyne during the Seven Years War (1756-63). 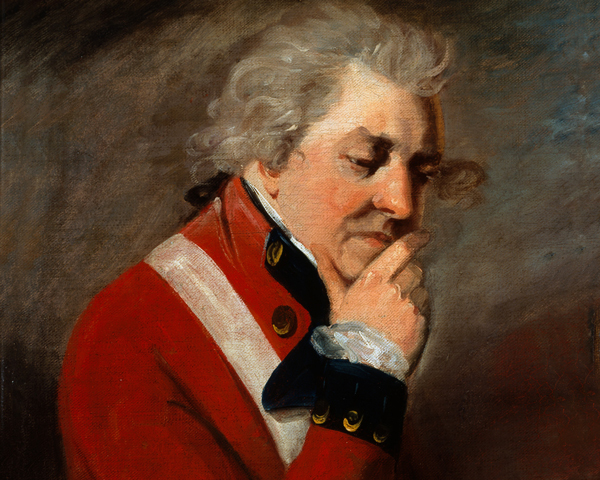 He commanded the regiment for the next 16 years, later becoming famous for his campaigns in the American War of Independence (1775-83). In 1761, it was used for raids on the French coast. But its first major foreign deployment came the following year, when it was sent to aid Britain's Portuguese allies against France and Spain, fighting at Valencia de Alcántara (1762) and Vila Velha (1762). Its conduct there won it the name 'The Queen's' after King George III's wife and consort, Queen Charlotte. It also earned the privilege of using her cypher as part of its own badge. Its next engagement was in North America from 1776 to 1779, where its light cavalry role proved useful against the Americans' guerrilla tactics. The regiment fought at White Plains (1776), Brandywine (1777), Germantown (1777) and Monmouth (1778). 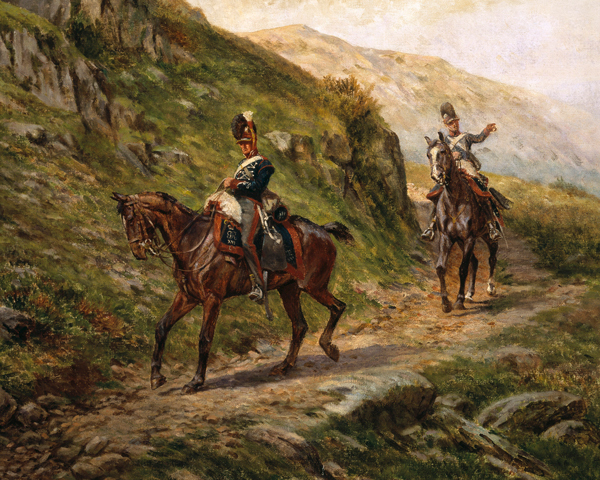 However, this posting left it so depleted that its few remaining men were drafted into the 17th Light Dragoons and its officers sent back to England to recruit. By the outbreak of the French Revolutionary Wars (1793-1802), the regiment was back up to strength. From 1793 to 1796, it took part in the Flanders campaign, fighting at Valenciennes (1793), Dunkirk (1793), Beaumont (1794) and Willems (1794). Following a spell of garrison duty in Ireland, its next foreign posting was to the Peninsular War (1808-14). It lost 309 men there, fighting at Talavera (1809), Ciudad Rodrigo (1810), Bussaco (1810), Sabugal (1811), Salamanca (1812), Burgos (1812), Vittoria (1813), San Sebastian (1813) and the Nive (1813). At Waterloo (1815), the regiment managed to cover the withdrawal of the Heavy Brigade, which had charged too far from its own lines. The post-war period saw the regiment in Ireland and England. They were renamed lancers in 1816. This era also saw the regiment express its loyalty to Caroline, King George IV's estranged wife and queen consort. 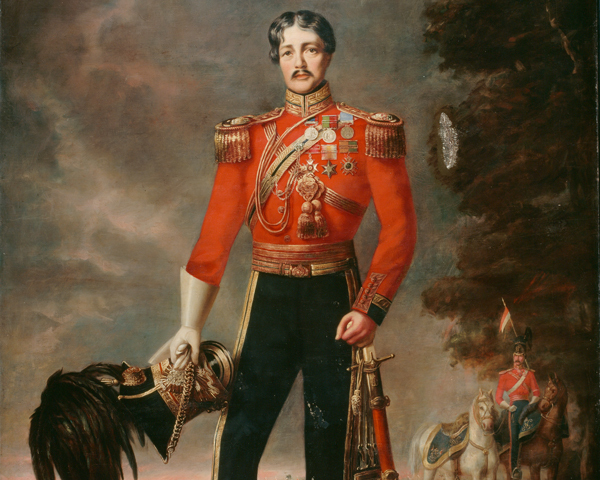 Legend has it George was so infuriated that he posted the regiment to India in 1822 as a result. This Indian deployment lasted 24 years and saw the regiment fight at the Siege of Bharatpur (1825) in the Jat War (1825-26). During the First Afghan War (1839-42), it helped take the fortress of Ghanzi (1839). Then, in 1843, it took part in the Gwalior campaign, serving at the Battle of Maharajpore in December of that year. Next, it joined the First Sikh War (1845-46). During this campaign, one of its squadrons charged an enemy cavalry force ten times its size at Aliwal (1846), before going on to rout the artillery and infantry behind them. 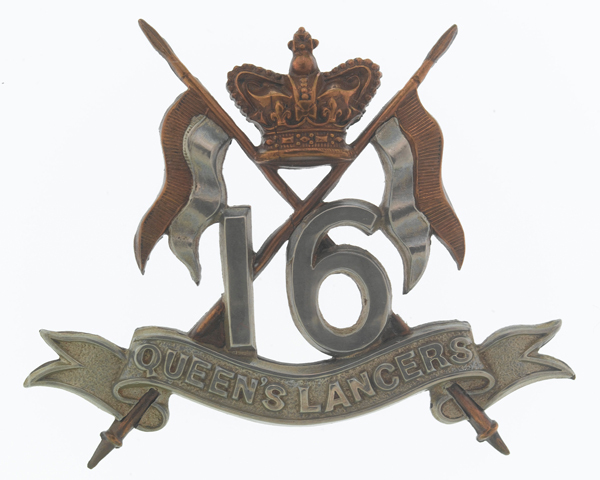 The regiment's title changed to the 16th (The Queen's) Lancers in 1861. It spent the next four decades either at home stations or on long postings to India. The latter included active service during tribal revolts on the North-West Frontier in 1895 and 1897. During the Boer War (1899-1902), it joined 3rd Cavalry Brigade in South Africa from 1900 to 1902, taking part in the Relief of Kimberley and the Battle of Paardeberg in 1900. 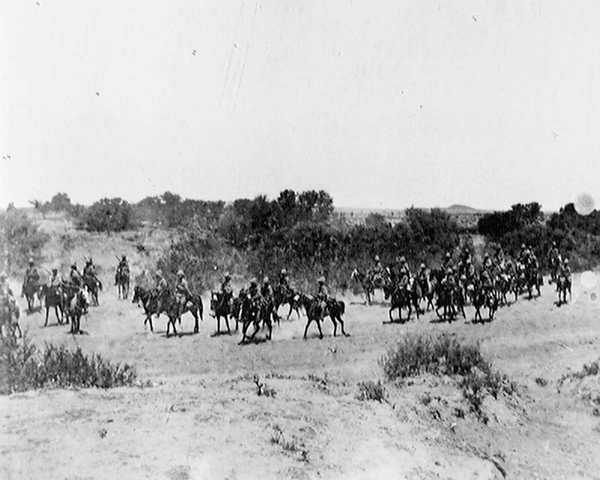 The regiment deployed to France in August 1914, again with the 3rd Cavalry Brigade. It remained on the Western Front for the entire First World War (1914-18), serving in a mounted and dismounted role. The regiment’s battle honours there included the Retreat from Mons (1914), the Marne (1914), Aisne (1914), Ypres (1915), Arras (1917), Cambrai (1917), Amiens (1918), Hindenburg Line (1918) and the Canal du Nord (1918). After the war, it was redeployed to police the former Ottoman province of Syria, before moving on to India in 1921. It was still in India a year later, when it was merged with the 5th (Royal Irish) Lancers to form the 16th/5th Lancers. 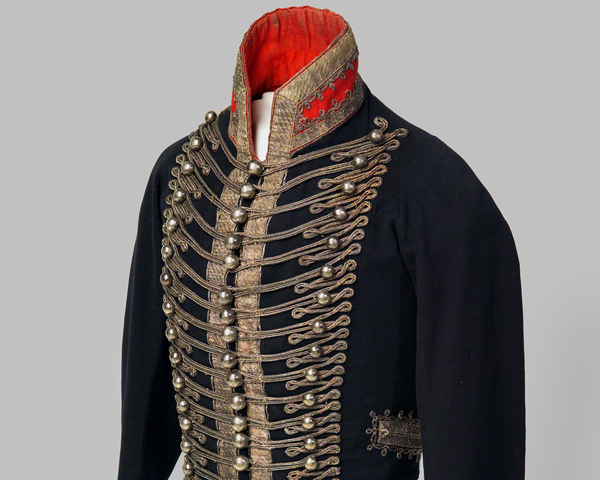 Explore the history and collections of the 16th The Queen's Lancers by visiting the Queen's Royal Lancers museum at Thoresby Park, Nottingham.